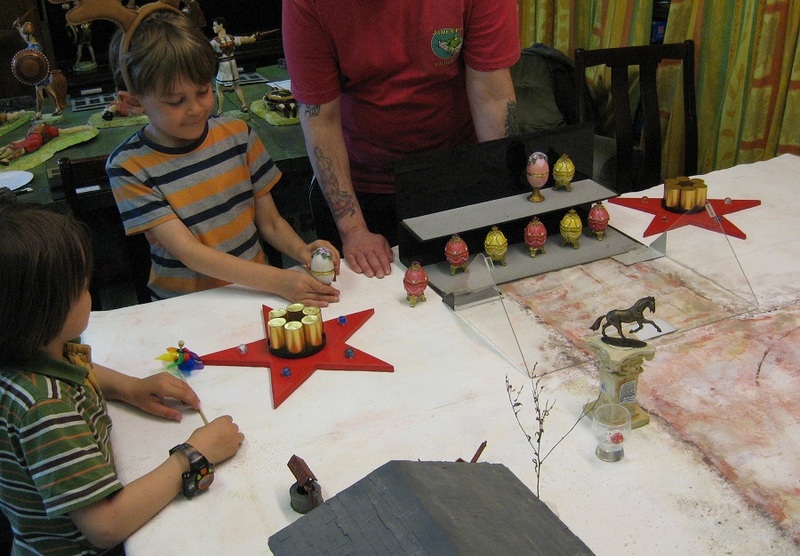 In honour of Sarge’s forthcoming nuptial transition we had a local ‘boys’ games day’ featuring some classics from the Ad Hoc stable. 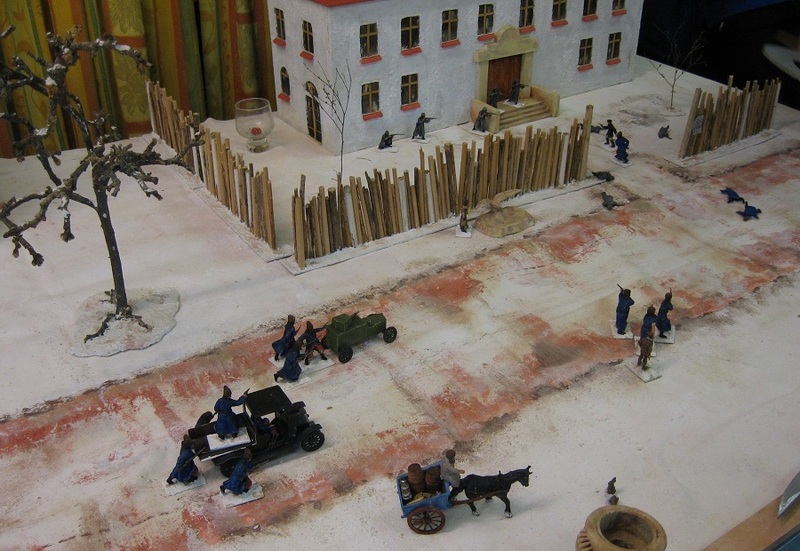 In addition to ‘Six of the Best’ and a clanking romp in Carpathia (the details of which are thankfully shrouded in mystery …) … it was a joy to see ‘Nick the Tsar’ and ’19:42 to Benghazi’ set out in all their splendour. 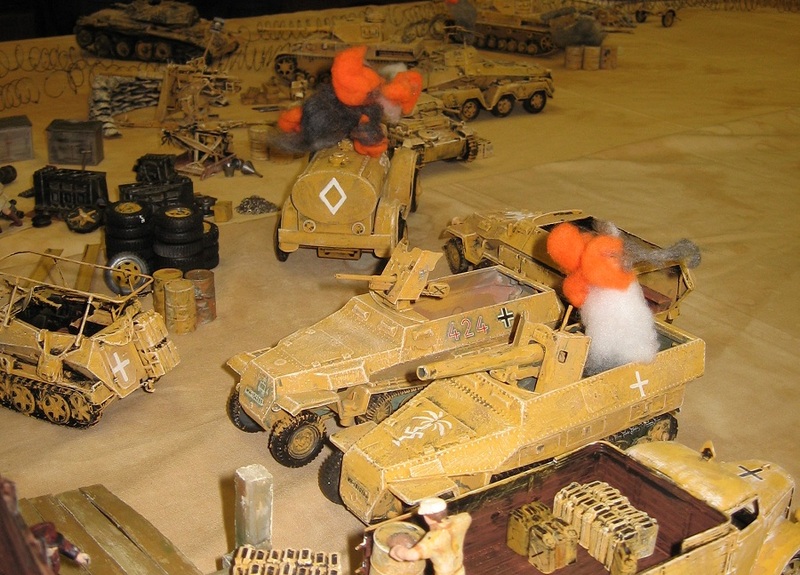 They were part of a legendary series of Salute participation games from the noughties, both in 54mm scale and full of wacky detail and quirky humour. 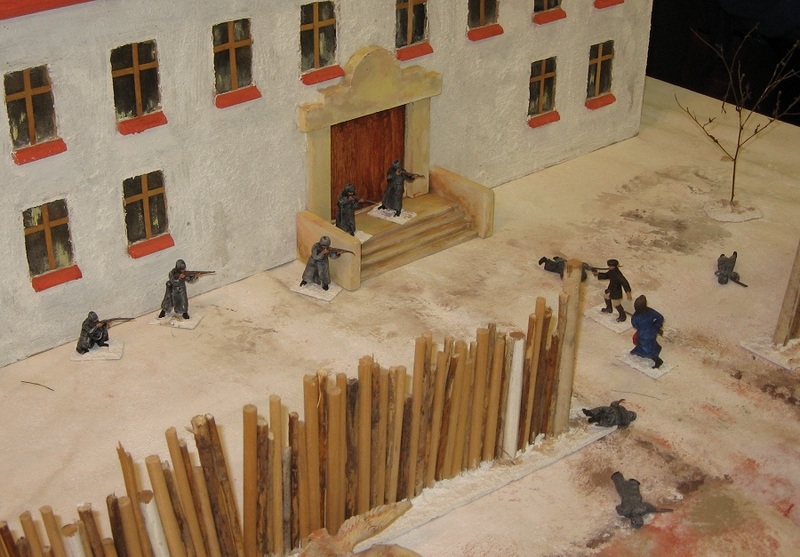 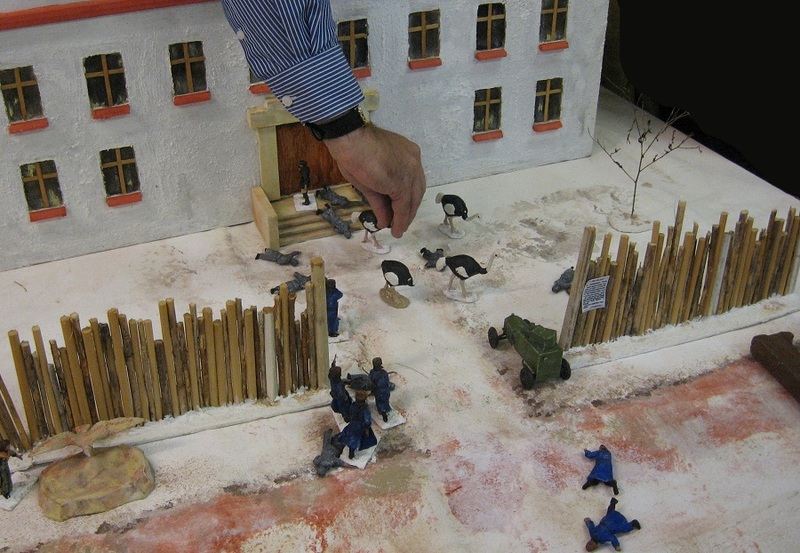 ‘Nick the Tsar’ set the players up as Whites and foreign agents desperately attempting to free the Tsar’s family from captivity and spirit them away to safety. 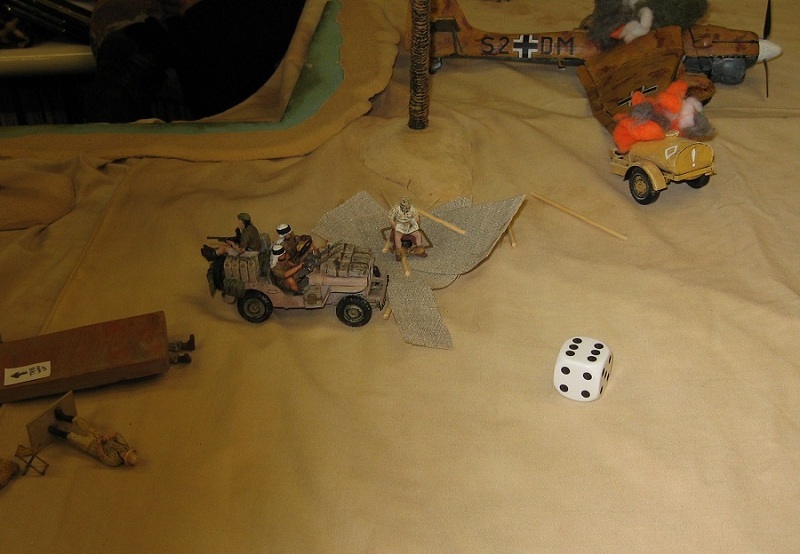 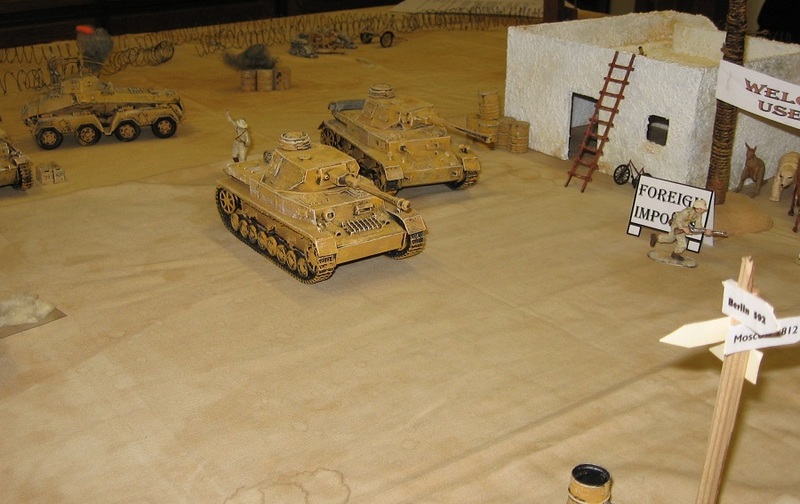 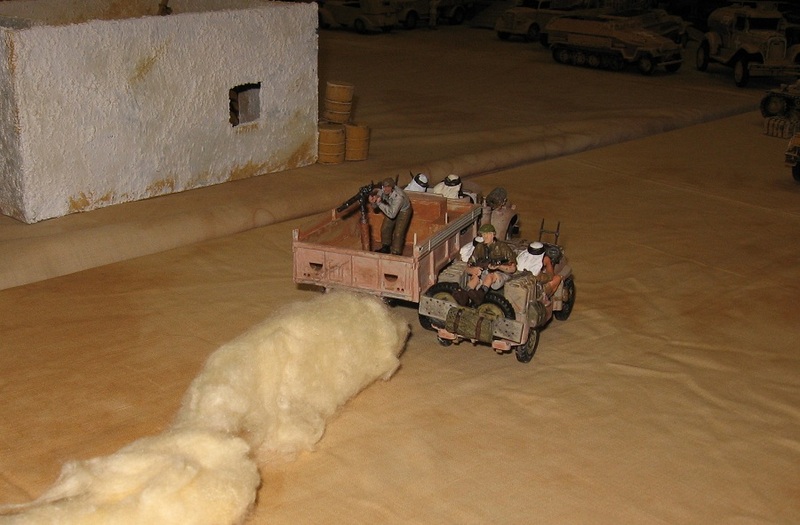 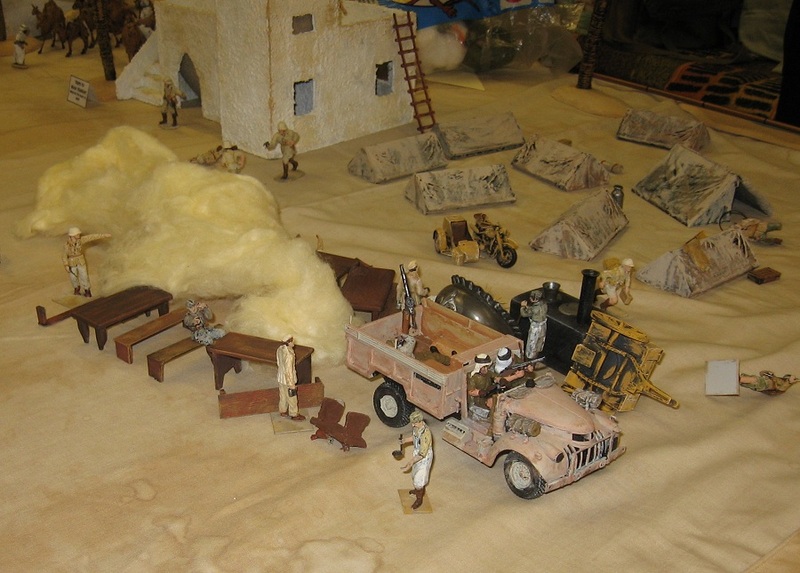 … and the fourth game of the session was the LRDG caper blowing up everything in sight raiding an axis airfield in North Africa.